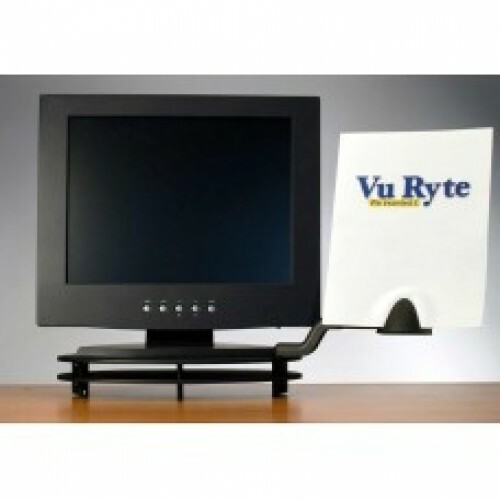 The VuRyser monitor riser combined with the Liberator document support arm is ideal for monitors with footprints up to 11" x 8". The VUR-8877 kit contains two of the stackable VUR-8800 monitor risers, each elevates the monitor 1" allowing adjustments up to 2″ when stacked. 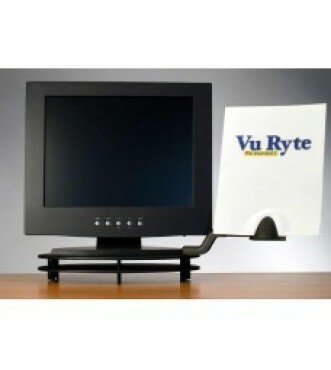 If you need your monitor to be positioned higher than two inches, order additional VUR-8800 risers. The Liberator document arm fits on the left or right side of the riser, holds multiple stacks of documents, and pivots allowing easy positioning of your documents. Supports up to 22 lbs. Color: Graphite/Black.